Let’s say you are getting fed up with using your old Android phone already and you are planning on changing and upgrading your phone to an even better Android phone with the popular and trending Samsung phone. That is practically a wise and smart choice for you, but you also need to consider so many important things first. And you still have to encounter the process of transferring all of those data from your old Android phone to your new Samsung phone. That is, somehow, a big concern you are going to deal with. But, wallow less because you can transfer data from Android to Samsung effortlessly with tips here. 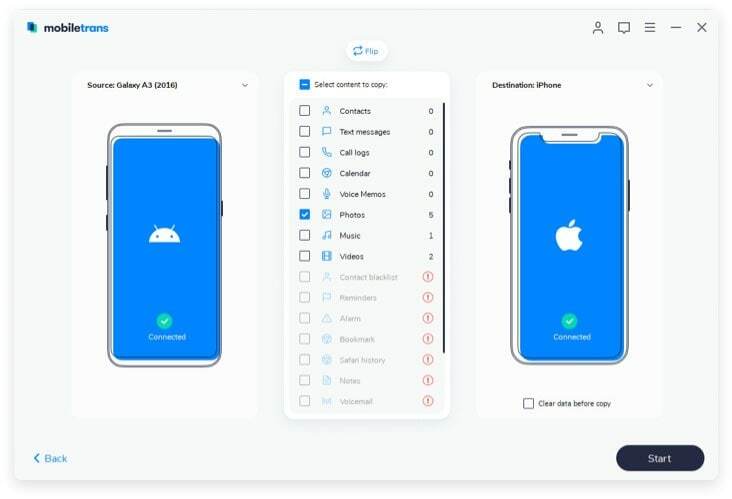 iSkysoft Phone Transfer for Mac ( or iSkysoft Phone Transfer for Windows) is basically a realiable tool performing excellently in transferring data from phone to phone. 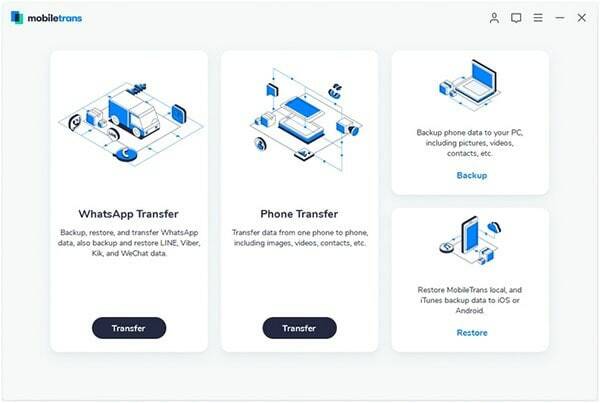 It is a tool that millions of people use today which enables users to transfer all of their phone data between varieties of phones. It has an extraordinary quick transfer ability. Plus, it is also easy to use! You can just choose over what data you desire to transfer from old Android phone to Samsung. 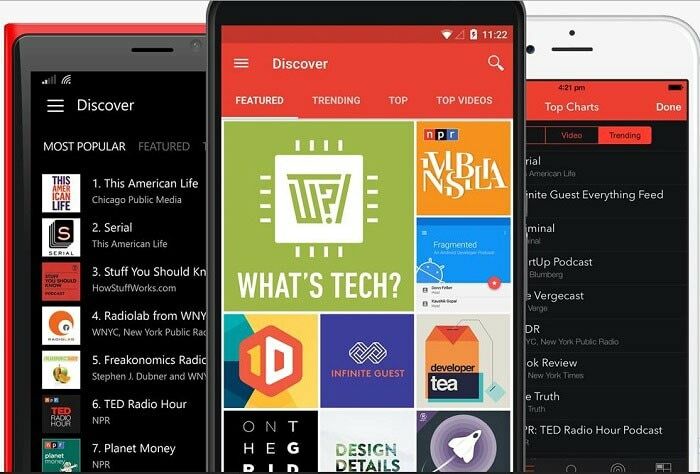 And you can transfer data from and to whatever phone brands! 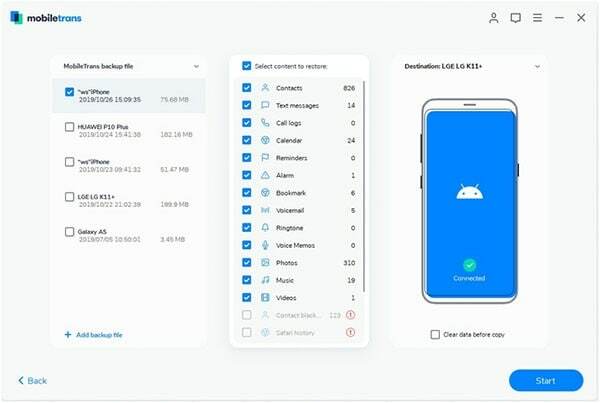 Not just phone contacts, you can transfer all types of phone data from your old Android phone to your upgraded Samsung phone, particularly phone applications, calendar, call logs, SMS, photos, videos, music, and many more. 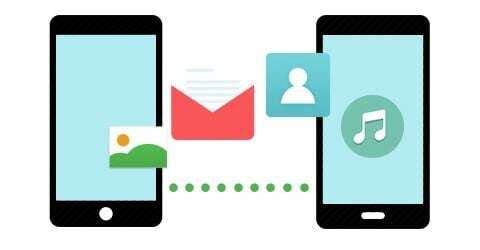 Not just mobile transfer, iSkysoft Phone Transfer can also backup your old phone data to your computer. And it can restore all the data to your new phone so you can feel secured with your precious data every time. By completing the following step-by-step process, you can accomplish your plan of transferring all of your apps, calendar, SMS, call logs, and contacts from your old android to Samsung. 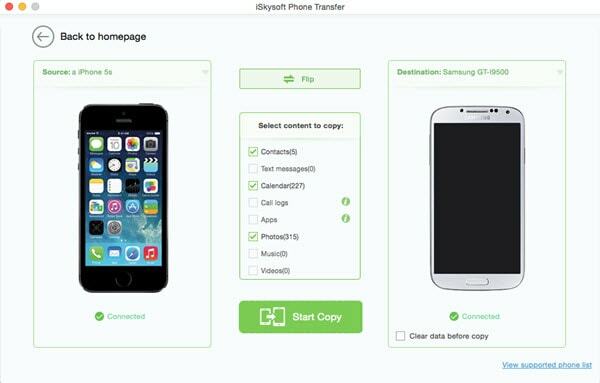 First thing’s first, download iSkysoft Phone Transfer and install it with the help of on screen instruction. Then open the iSkysoft Phone Transfer main window. After that, select the “Phone to Phone Transfer” mode. Via USB cable or any other devices, connect both of your phones to the computer then wait for them to get detected by the PC. Choose the content data you want to transfer from your old Android phone to your new Samsung phone by ticking each of the content’s boxes. You can check and uncheck items you desire to transfer. After doing so, click “Start Copy” for the process to start. Ensure both of the devices to stay connected the whole time until the transferring process is done. To keep your data safe and protected, backup your old Android phone then restore your new Samsung phone. 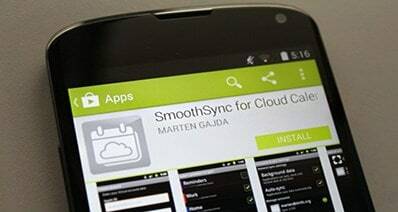 You can do that by using iSkysoft Phone Transfer.